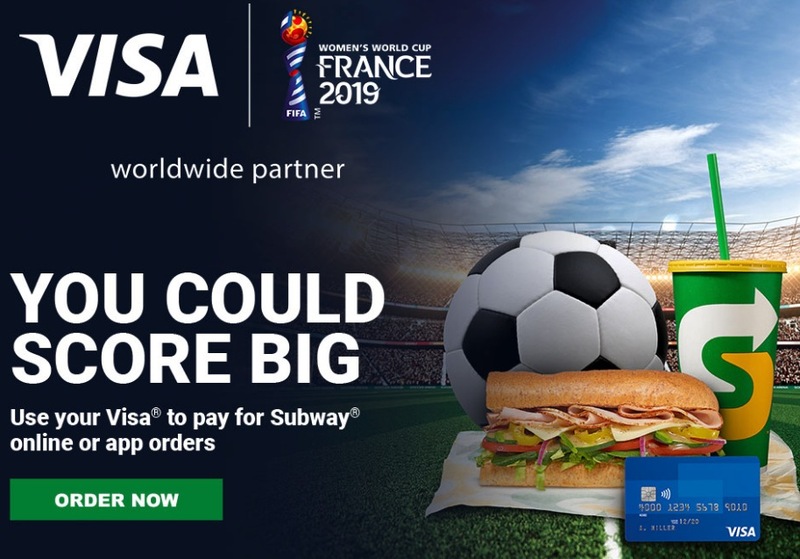 Enter the new Subway and Visa Promotion 2019 for your chance to Win a trip to the FIFA Women’s World Cup 2019 Final match in Lyon, France. To enter you have to use your Visa card while making a purchase on the Subway mobile app and you’ll automatically get an entry. Multiple entries are allowed. Visit the contest web site for further details. Contest closes on April 30, 2019 at 11:59 pm PT. Winner will be selected at random from all valid entries. The Subway and Visa Promotion 2019 Begins at 12:00:00 AM PT on March 25, 2019, and ends at 11:59:59 PM PT on April 30, 2019. The draw will take place on May 24, 2019. Winner will be notified by phone and/or email.